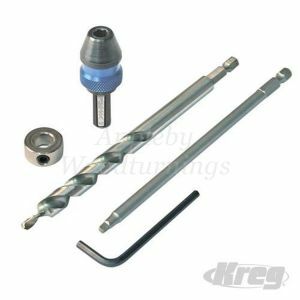 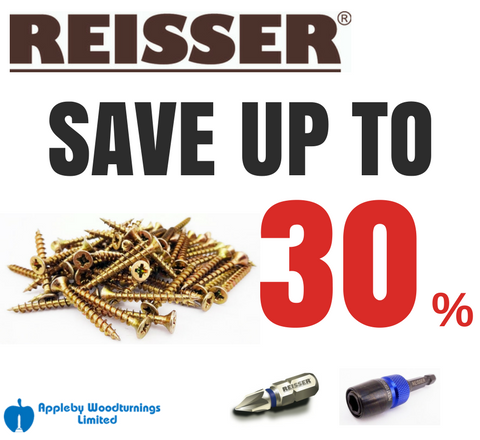 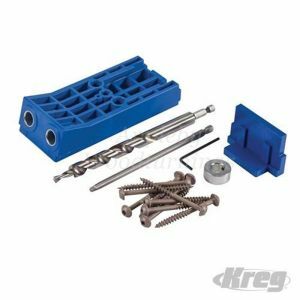 We supply a full range of tooling in the Kreg Pocket hole kits K5, R3, K4 master system and also the mini pocket hole jig kit plus a full range of spares and accessories for the Kreg pocket hole screw system. 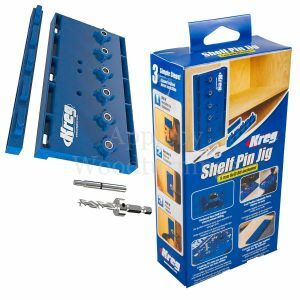 The K4MS Master System Pocket Hole Jig (K3) - The jig is fully adjustable to take timber from 1/2" to 1 1/2" thick in 1/8" increments. 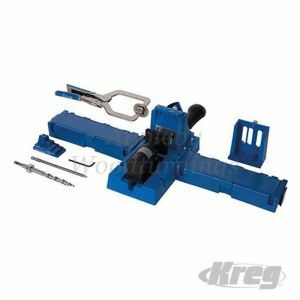 The work can be clamped in the jig or the drill guide clamped to the work. 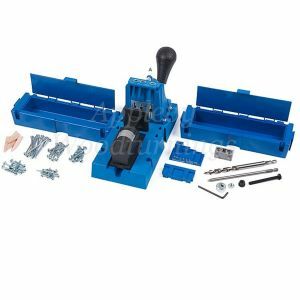 Comes complete with Bench Top Base, Portable Base, Premium Face Clamp, 3/8" Step Drill Bit (KJD), 6" & 3" Driver Bit, Depth Collar, 1/8" Allen Wrench and assorted Screws and Plugs. 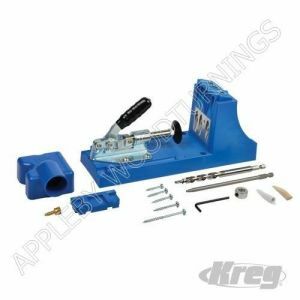 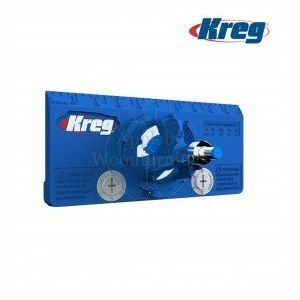 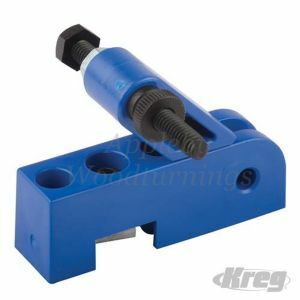 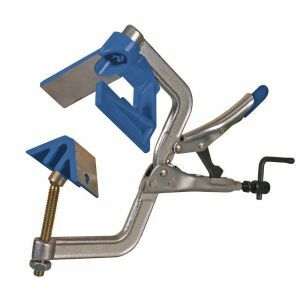 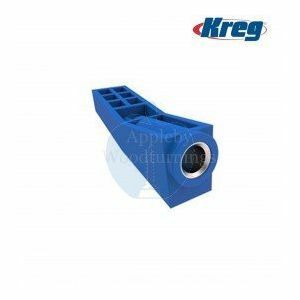 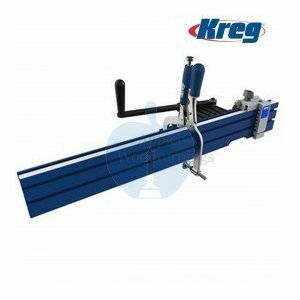 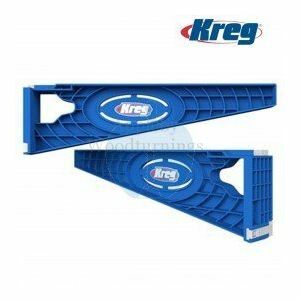 The Kreg Jig K5 - This is the perfect clamping system for any home improvements such as bookcases, cabinets, outdoor projects and is also popular in the joinery industry. 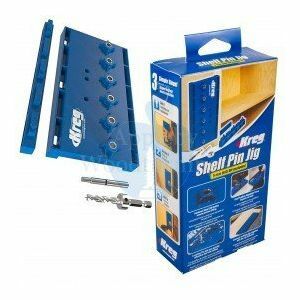 The two large wings keep your workpiece secure and also has built in storage compartments for safe keeping of screws and drill bits. 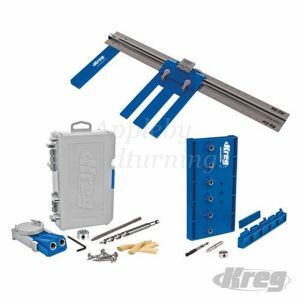 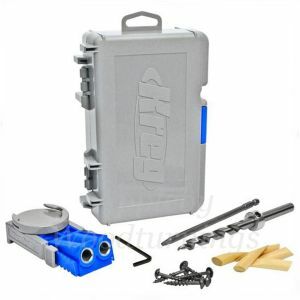 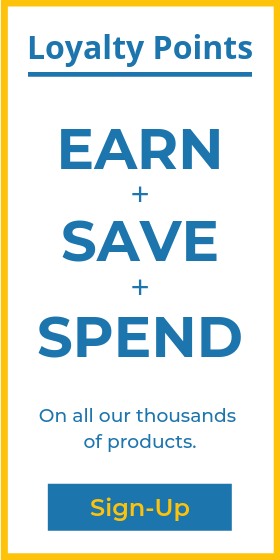 Comes complete with Kreg K5 base with ratcheting front side clamp, Extension wings, Hex -shank stepped drill bit, 6" driver bit, Allen wrench, Stop collar, Drill bit set up block, starter screw and plug pack and a Swiveling dust collection port. 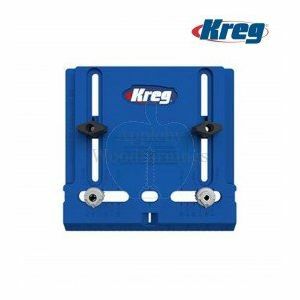 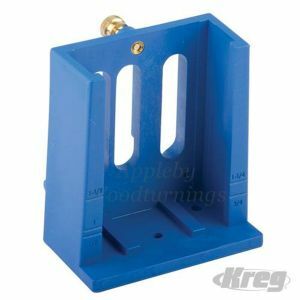 The Kreg K4 Pocket Hole Jig - This is a great introduction in to the pocket-hole system, making frames and carcases. 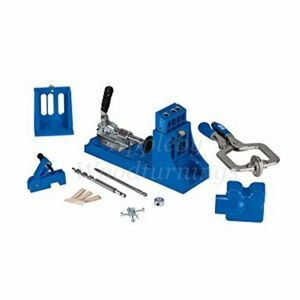 It includes all the necessary accessories to get you going along with a dust collection attachment and instructional DVD.